So very unique and creative, as always, Nix! I was excited to put those lights in my game (as well as the other invisible lights from Nixed Sims). I've already used them for some of my photo-taking. I also suggest reading the little captions beneath Nix's pictures; they're quite funny! I need to get over there and download those invisible lights, too, Cher. They'll be perfect for getting snapshots of my room recolors. Nix, I thought you'd enjoy seeing my Jacob Roarke having a blast on your Sim Bouncer (trampoline) HERE. I love having it in my game and so do my Sims!!! Sugah and Cher, thank you both! 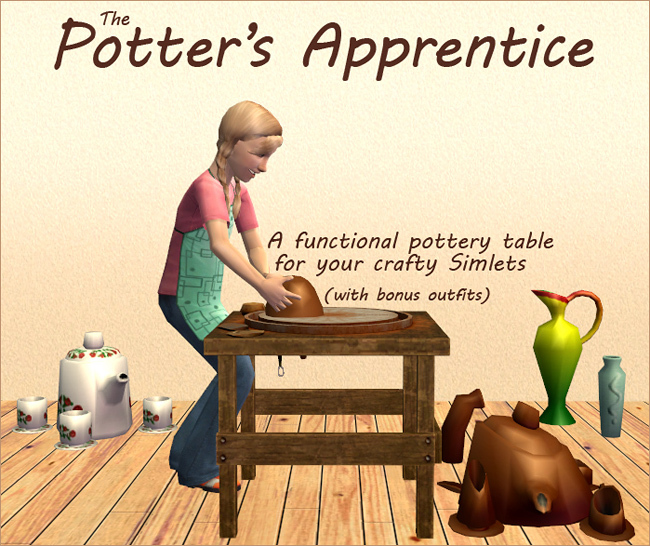 I'm thrilled that you like it, as always - the pottery table especially, that one took quite a bit of work (but it was worth every single grey hair it gave me ). Cher, glad you like my captions! I have way too much fun with them. 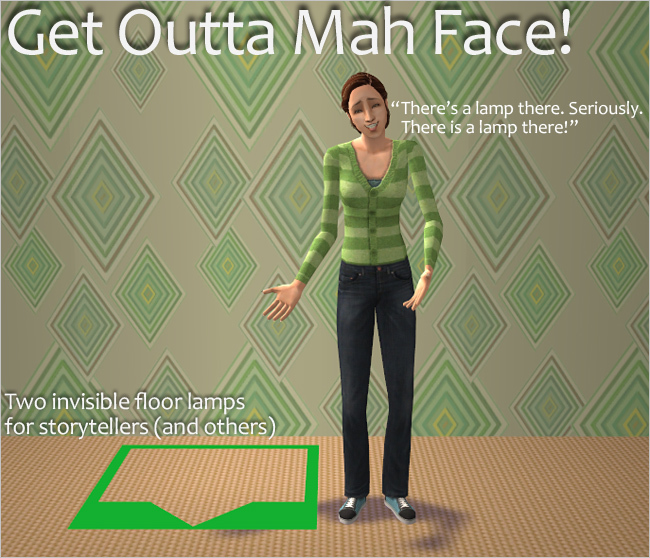 It's only very rarely that the Sims in my pictures are just random Sims (even though it does happen), most of the time they're characters either from my neighbourhoods or from one of my stories, so I know them quite well and know what they'd say if, say, they had a lamp quite literally in their face. So I let them say it. Makes the screenshots more fun for me to make, too. Sugah, I love seeing my things in action in other people's games, so thank you very much for showing me!